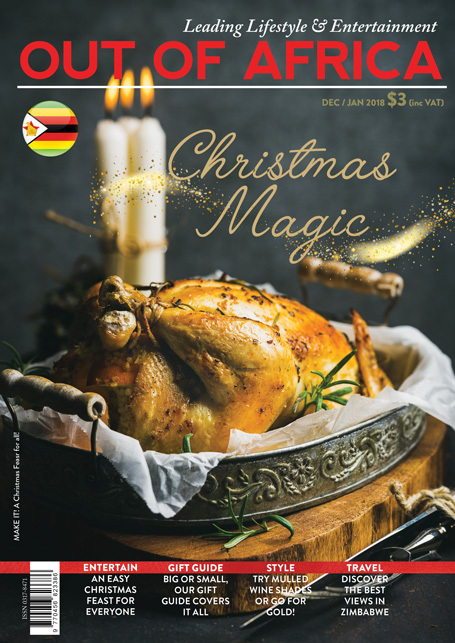 Welcome to our combined December and January Issue – a time to enjoy the festive season and New Year with friends and family. I love Christmas. Wrapping presents in sparkly paper that somehow repels sticky tape; digging out the fairy lights (plus getting them to work) and favourite baubles; family shouting, singing (and making a mess) all round the house; cracking open icy bubbles to enjoy with a mince pie… the allure of Christmas never seems to fade. The Taste Kitchen has prepared an easy to follow, but delicious festive meal. Many items can be prepared ahead – so you can be more present at the meal! Kids love gingerbread men – so get them baking this spiced treat! For all our readers – we have no less than three competitions in this issue to enter. A luxury weekend at Victoria Safari Lodge, tickets to a rocking NeverLand festival and an incredible signed print by artist David Filer. Enter early! OUT OF AFRICA’s gift guide is essential for all shoppers – enjoy our selection; right down to fun stocking filler ideas. 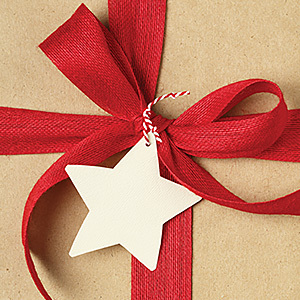 Find the perfect gift for everyone on your list – we won’t judge if you want to keep some for yourselves! However it is also a good time to reflect and to keep in mind those who are less fortunate and to help in any way we can. Make it a resolution to help more in 2018. There are many worthy causes that need you help and support. We would like to wish you a happy and festive month of December! It is a time for us to reflect on a year almost over, and hope that our dreams and aspirations will materialise in the year ahead. Enjoy the Christmas Magic with OUT OF AFRICA! 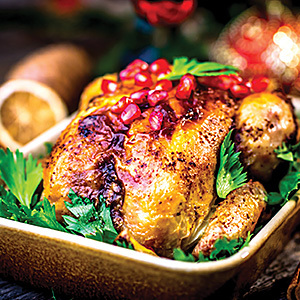 We&apos;ve got your Christmas meal sorted with these festive classics from the Taste Kitchen. Find the perfect gift for every day of Christmas! We have compiled the most breathtaking views in Zimbabwe. 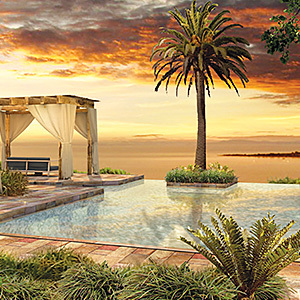 Sit back and indulge in the beauty of nature. Decorate your home in these warming tones of deep red and plum, ideal for the festive season. 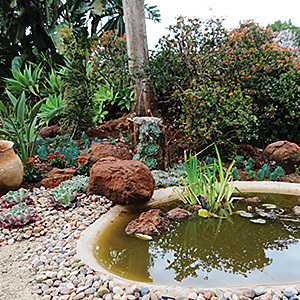 A beautiful desert garden full of life, with an International Message of Sustainability. 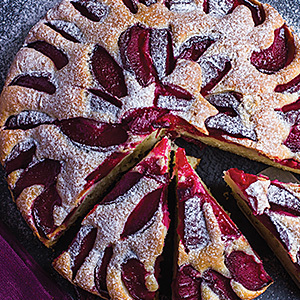 Indulge in the flavours of the Christmas season with these festive bakes.